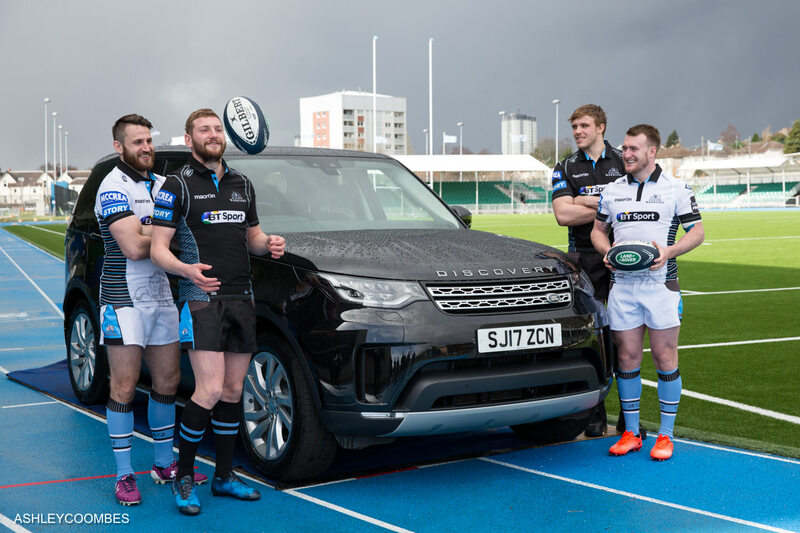 Land Rovers and Rugby players are always going to be a good brand match – tough, rugged, muddy… I don’t need to labour the point! 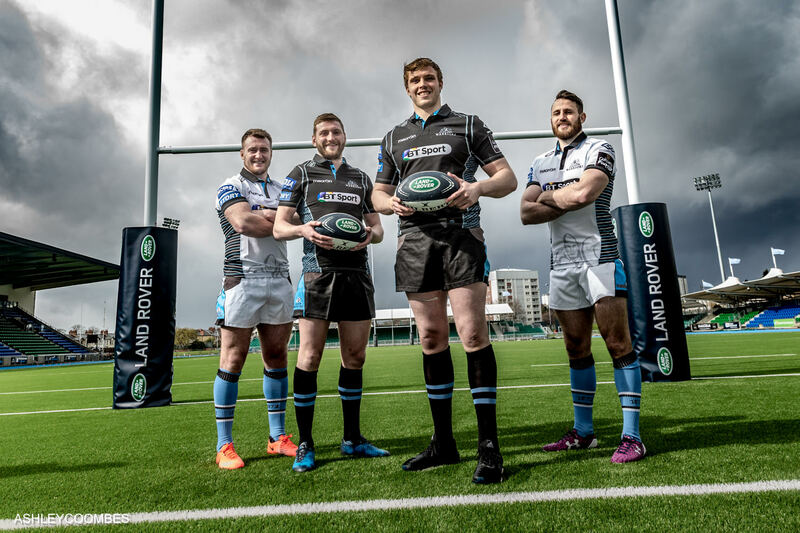 So when I got a call to go to Scotstoun Stadium for Land Rover I wasn’t surprised to hear that it was all about a new sponsorship deal and I would be photographing their top stars…. 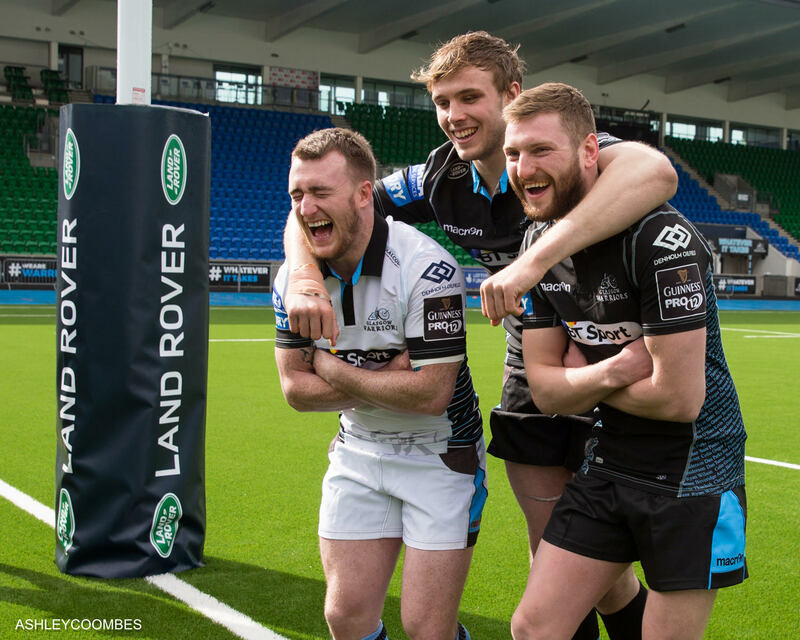 Stuart Hogg, Finn Russel, Jonny Gray and Tommy Seymour. The half an hour time slot I was promised with the players gradually dwindled to the statutory five minutes. This happens pretty much every time I’ve ever photographed sports stars whether it’s for sponsors, the media or even the club. On this occasion it wasn’t a problem as the guys were brilliant and happy to take direction – not surprising really as they’re all going to be driving around in brand new Discoverys from now on so we got the pictures done quickly. A passing storm helped add some drama to the sky and then it was all over, the sun came out and they were off to the dining room to work on their calorie intake! Thanks to James Robinson from On Edition Media.